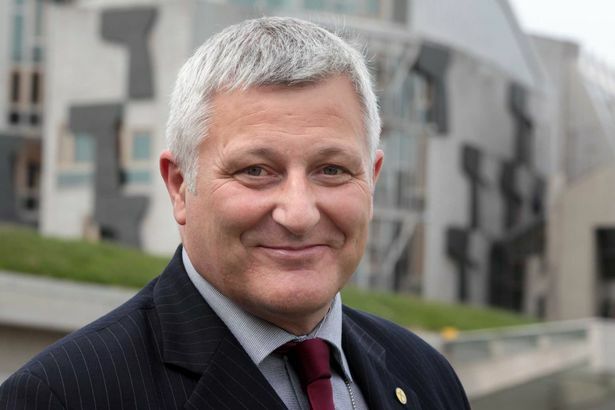 by John Finnie, Independent MSP for the Highlands and Islands Regardless of location, whether our densely populated urban areas or the ultimate ‘low density’ housing of the Highlands and Islands, it’s vital we maximise participation in our historic constitutional debate. Whilst the message ‘vote Yes - build a socially just Scotland’ will be the same across the country, there’s no doubt that the delivery techniques will vary. I am a big fan of the architect who designed some of the blocks of houses on the sprawling estates on the south side of Inverness. Walk around a paved path on the outside and deliver to eight homes a minute. Neither the crofting townships of the north-west nor even the bungalow hinterland of Loch Ness-side offer such rapid fire delivery opportunities. A few weeks ago I was leafleting a large area of social housing in Inverness with an active and seasoned campaigner from the Black Isle. As we dispensed sacks full of newspapers to a receptive population, he advised me that “on a good night I can get out 30 or 40 leaflets in the Black Isle”. Why would that be? Well it’s not the done thing to walk up to a rural dwelling and not announce your presence, albeit in most instances the collie will have announced your visit anyway. So, whilst not necessarily suggesting every leaflet is ‘knocked-in’ it’s important not to simply leave your written message and go off without even passing the time of day. At the turn of the year I was asked to speak at a Yes meeting on the far north coast. I left Inverness 10am Saturday morning for the three hour journey, en route picking up the local councillor, George Farlow, pooling our tea, coffee and biscuits – there’s no meeting without tea. Before the meeting we met with the local GP to get update on on-going challenges of delivery care at home. It’s important to pack as much into a trip as possible. The meeting took place in a ‘closed for the winter’ café. Twelve people attended and a ‘lively’ discussion took place, mainly about equal marriage and the recent changes to crofting legislation. Importantly, everyone seemed to know what the other was going to raise, with little surprise at what was exercising the Free Kirk elder. Of course there was discussion on the constitution but it would have been both bad-mannered and insensitive not to allow the two other main issues of the day to be discussed first. To many that may seem a small attendance – indeed that number was replicated at the later evening meeting 70 miles away en route back to Inverness, however, as a percentage of the local population that would represent a huge attendance at a meeting in Edinburgh and Glasgow. The evening meeting followed fish, chips and discussion in the local social enterprise café. Then, following the Yes meeting, where there was more tea, coffee and biscuits, it was off to an office of another social enterprise to discuss funding options and collaborative work with another nearby charity. All these enterprises had their own identity but shared many activists in common. As Sabbath approached I headed back to Inverness getting there at about 1am. Total attendances about 24. Total ‘reach’ immeasurable. To folk in north-west Sutherland Inverness is remote, never mind Edinburgh whilst London is just the place where the land-owners stay. Folk in the countryside tend to be less upfront about their politics, often keen to listen whilst maintaining their own counsel. Likewise, overt displays of allegiance like posters are relatively rare. Sunday 22 June was Radical Independence Campaign’s Mass Canvass day, except for Inverness and Ullapool were the event kicked off on the Saturday. Whilst odd instances of leafleting may happen on a Sunday, there’s no appetite from any political party or referendum campaign group to ‘hack off’ any would-be voter by knocking on their door on the Sabbath. Telephone pollsters take note. I’m sure the Highlands is no different from many other rural areas when it comes to campaigning. As elsewhere, there have been some healthy attendances at central towns across the area for meetings and debates and we must build on that public engagement, regardless of the outcome of the referendum. The essential Highland campaigners kit consists of: a capacity to listen; a willingness to trek to meet the voter, but watch that barbed-wire fence when trying to approach voter on tractor; an understanding of the diverse nature of ground conditions and animals you may encounter; an understanding of the importance of weather to the campaigner and voter alike; sunscreen, ‘sensible footwear’ and, perhaps above all, a will not to offend. Finally, mind the midges, mind your language and mind your feet and you should be ok. Ours is a great message about an opportunity for rural Scotland for all of Scotland.